Call of Cthulhu is a dark adventure game in a horror setting, based on the works of an American writer, H.P. Lovecraft. 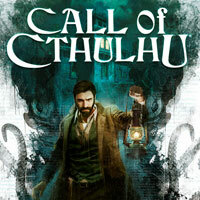 Call of Cthulhu is a dark adventure game, enriched with elements borrowed from survival horrors and sneaking. Cyanide Studio, a band known mainly from the Styx series, took on their shoulders to create the program. The title was published by Focus Home Interactive on the PC, PS4 and XONE platforms, among others. Call of Cthulhu is based on the so-called Cthulhu Mythology, created by Howard Phillips Lovecraft, the legendary American horror writer. The main character of the game is Edward Pierce - a private investigator whose task is to explain the mysterious murder of the famous artist Sara Hawkins and her family. Over time, the investigation has taken an unexpected turn - not only the equally mysterious disappearances, but also the mutilated bodies of whales found on Darkwater Island in Boston seem to be connected with the matter. Pierce quickly discovers that behind everything can stand the title Cthulhu, also called the Great Dreamer - one of the Ancient Ages, that is, the ancient, powerful beings who remains in sleep, and when the stars in the sky set in the right order, he will wake up and take back the power over the world. In Call of Cthulhu on the PC, PS4 and XONE platforms, the action is presented from the first person perspective (FPP). The game is based on exploring and solving various puzzles. Adventure leads both through gloomy city streets, as well as research complexes, undergrounds, and finally temples of cultivists. The player must try to keep a balance between the desire to discover creatures lurking in the darkness, and the state of mind of the charges - too much immersion in the mysteries of darkness can lead the character of the detective to madness. In the course of the game we meet more or less friendly NPCs - while some are willing to cooperate, others react to the protagonist with aggression. The game has also implemented extended elements of RPG - the title is based on a paper RPG license from the American publishing house Chaosium, from which some gameplay mechanisms have been taken. Call of Cthulhu is characterized by high quality, three-dimensional graphic design, maintained in economical colors and gloomy style. The whole is complemented by a specially composed soundtrack, which effectively builds a shivering atmosphere.